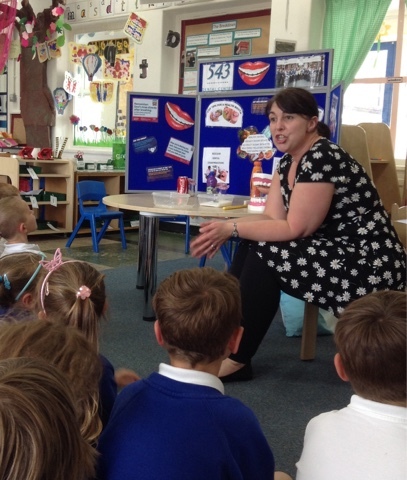 Today a dental nurse visited us at school to talk to us about keeping our teeth clean. We knew that we had to clean our teeth twice a day using a toothbrush and toothpaste. We learnt about why we need to clean sugar off our teeth to keep them clean and healthy. Then we dressed one of our friends up as a dentist. 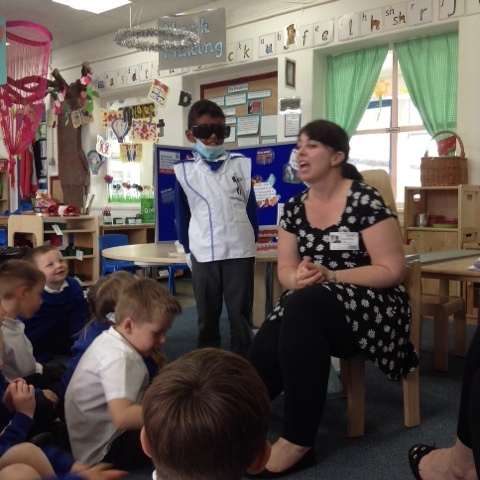 We looked at what a dentist wears and how their uniform keeps them and us safe. We found out dentists help us to look after our teeth and keep them clean and healthy.